Four club cuts are ready to drop on Resonance Records at the end of this month by Hauswerks, including a remix by Detlef. 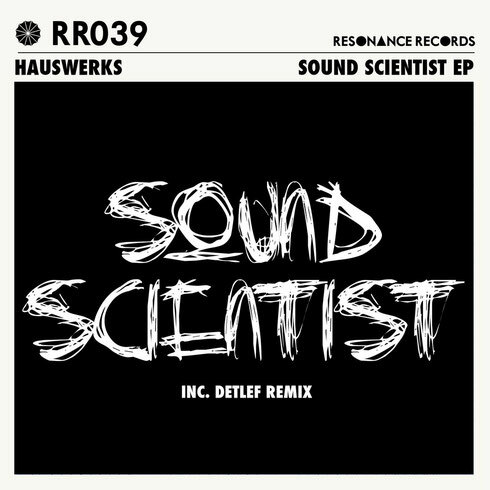 With the likes of No Artificial Colours, Waifs & Strays, Dale Howard, wAFF, and DJ W!ld contributing to the label’s back catalogue, Hauswerks is soon to become the latest member to join the roster with an EP packed with no-nonsense house music, after remixing Rich Wakley on the label last year. Putting out music as Hauswerks since 2005, the UK producer has gone on to form a tight relationship with Jaymo and has since flaunted a string of releases on Jaymo’s label Moda Black, not to mention dropping material on imprints VIVa LIMITED and Hot Creations. ‘The Sound Scientist’ kick-starts the release; it has an eerie breakdown helped along by a throbbing, warped synth until it erupts with a hypnotic bassline. ‘Groove Lab’ is lighter hearted, the bass isn’t as prevalent as the previous track yet the effect is accentuated through its use of breaks, hi-hats and echoing vocal sample. ‘Everyone’ is next then the Detlef remix of Hauswerks title track manages to implement his own polish without affecting the original track’s integrity, allowing the EP to culminate without too much disparity.